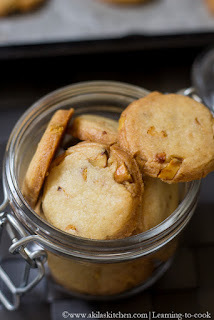 Eggless Pista Cookies are easy to make cookies yet so crispy, crunchy and yummy cookies. I prepared this small quantity only like 20 to 25 cookies and it got finished within 1 hr. If you want to try this and do more, then keep it in a air tight container. 1. Take Butter in a bowl. Beat it. 3. 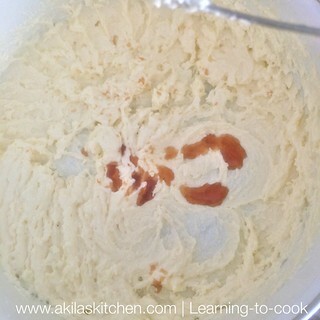 Beat it nicely till it becomes creamy. 4. 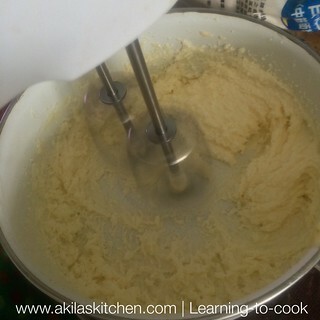 Add the vanilla essence and milk. 5. It should come to the consistency shown below. 6. 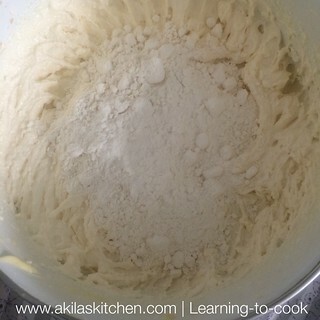 Now add the flour. 7. 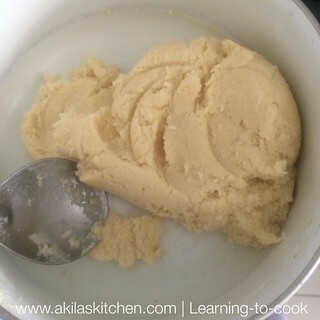 Mix and make a dough like consistency, without any lumps. 10. 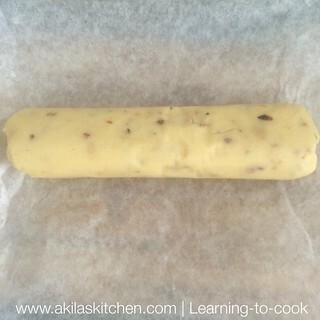 Now roll the dough in a butter sheet. 11. Cover the edges also as shown. 12. 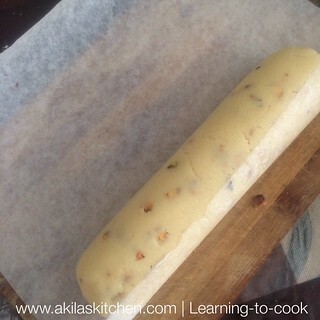 Freeze it for 4 to 5 hours. 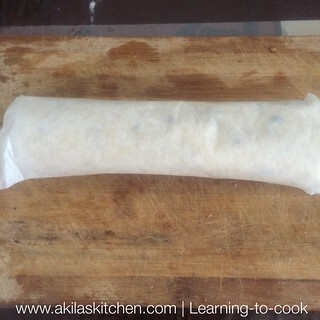 (Even you can freeze overnight). 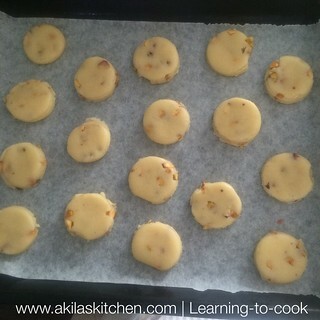 13.Preheat the oven for 170 deg C. Cut into 1/2inch thickened circles. 14. 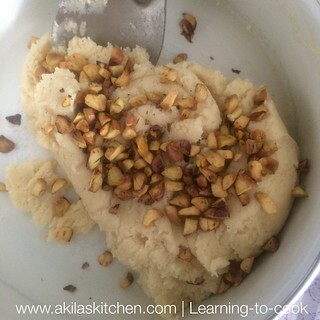 Bake it for 15 to 28 min or till the edges becomes light brown colour. 15. Yummy and tempting crunchy pistachio cookies are ready. 1. 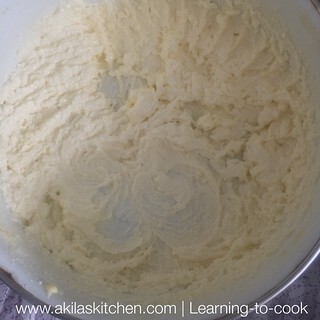 The butter should always be in room temperature before you start beating it. 2. 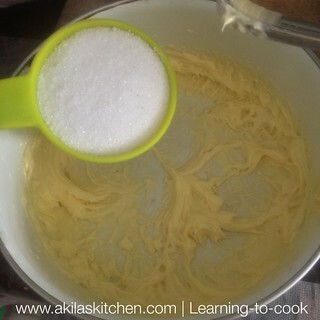 Instead of granule sugar, you can add the powdered sugar also. 3. Adding some dried fruits like dried cranberry or raisins gives extra taste. 4. 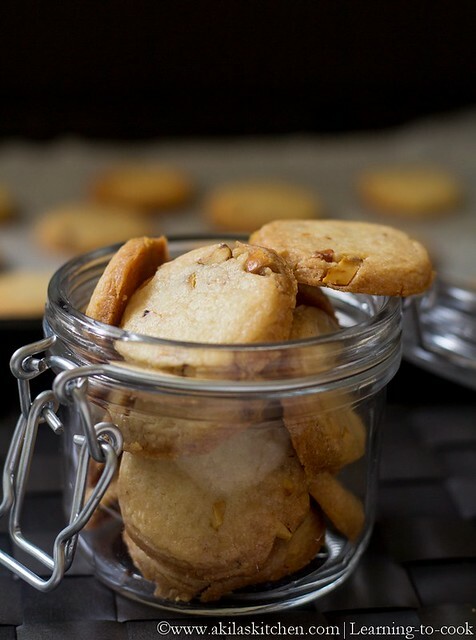 You can use wheat flour and make healthier version cookies. 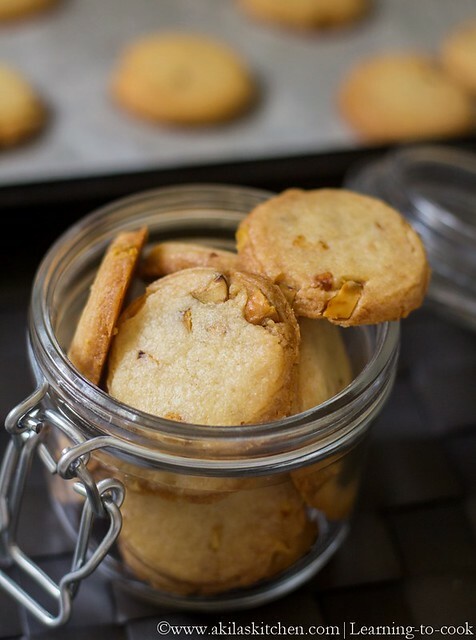 This cookies look crunchy and testy!! Nice step by step description with clicks!! 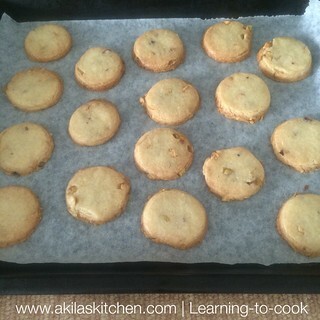 Cookies look crunchy and yum!